Get your kids cooking and doing more activities! See below to get a copy of the Bone Soup Story Hour Kit! What would soup taste like if it were only made with a single bone and some water? Perhaps very bland. Three little witches are hungry, and a bone is all they have. So, they carry their caldron and bone down the road to ask neighbors for items to add to their soup. They ask for water from a hairy blue monster, they get eye of a giant from a ghost, and a lizard’s tail from a ghoul. Each time the three witches knocked on a door they were frightened of who might answer. Each neighbor followed along as they accumulated items to add to their bone soup. The pot was getting more and more savory with old toenails, wrinkled fingers and dead prunes. The neighbors were growing hungrier and hungrier and were threatening the three witches that their soup better not be a trick. The monsters began to chant and roar for their soup. 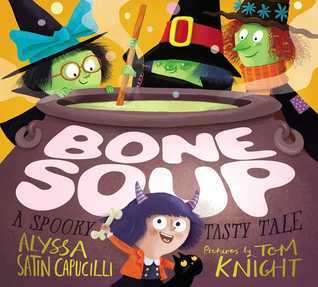 Do you think the bone soup would be a tasty savory treat? Do you think there was enough soup to go around? 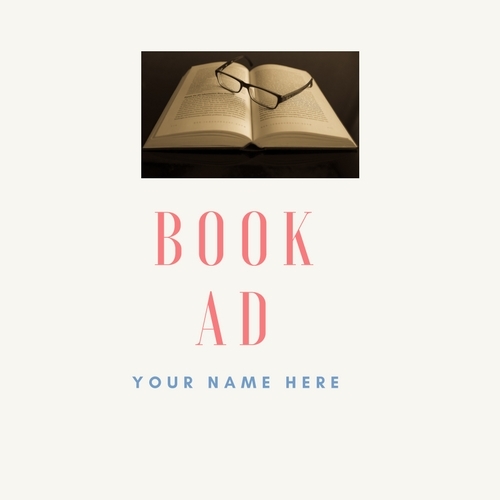 Whether you are looking for a tasty new recipe or want to get to know your neighbors this fun story builds up the suspense and is perfect for beginner readers. Snappy rhyme along with hilariously creepy characters makes this a read for anytime. Parents, teachers and caregivers will have fun reading this aloud using their scariest monster voices. This old folktale speaks to making something out of nothing and how small gifts can make all of the difference. The back pages have a recipe for kids, with the help of parents, to make their very own version of bone soup.